The best website security check tool protects not only websites, webs servers, and web applications but also optimizes their performance. The features of a website security check tool can mitigate certain attacks and threats that can shut a website down. 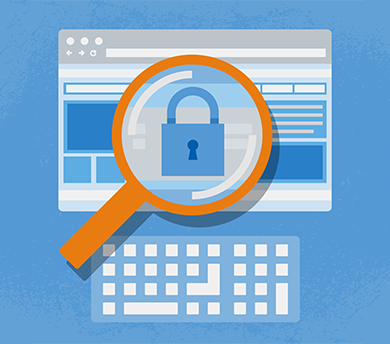 A website security check tool helps you maintain a clean track on the online community. Some website owners, most especially the beginner webmasters, might think a website security check tool is only needed when the problem is already happening. It turns out that they're wrong about website security check tools. We can't blame them. A malware removal tool is available in the Internet anytime and this ease of access may have led some website owners to be overconfident. But the threat is always there – searching for a loophole in the website's technical layer to penetrate. Therefore, a website security check tool is more efficient as it can guard a website from any threat and it's supported by other features. Plus, the website security check tool gives you an intensive reports on what is happening on your website daily. It works like a shield 24/7. A webmaster knows an antivirus and a malware removal tool aren't the only tools they need. They also need to know is which website security check tool can withstand all the threats happening on their website. First of all, you need to consider the harmful effects of a malware can cause your website. Without a website security check tool, you'll find yourself facing a terrible situation that can certainly destroy your website and marketing. This why you need to learn how to properly select the best website security check tool for your website. There are four ways to compromise a website. They are weak passwords, phishing or infecting your computer with malware, vulnerabilities or outdated software within the website layers you use, and a malware infection from another compromised website. Google blacklists thousands of websites every day. When a website is blacklisted, it means search engines have expelled that site from their search list. As a webmaster, you need to pay close attention to Google Blacklisting, since websites that are blacklisted by Google can loose up to 95% of its organic traffic leading to a massive cut in sales and profits. Your hosting provider might think that you've created your website to inflict harm to other websites. Hence to keep everyone else safe, shutting down your website is the immediate response. Before a website visitor could even get into your website, search engines will warm them about your hacked website. Decreasing the website traffic you've worked for so long. This is for sure, your website will annoy visitors when it won't even show the content they came for. Instead of staying and accessing your main website, your visitors will be redirected to a malicious website. This may terrify your visitors which can make them disappointed and never visit your website anymore. DDoS attacks deny access to your legitimate visitors for your online service. It's a different scenario from Google's blacklisting. The website security check tool can make content delivery and enhanced website security through a "caching" content delivery network faster . Ironically, most website software provides only non-caching content delivery, which could be considered as a namesake feature that contributes nothing towards enhancing website security or optimising website performance. If you are an online merchant who has to handle credit cards online, then the website security check tool must ensure a simple and automated way for continued compliance with the required PCI DSS standards. On the vast sea of website security check tools, cWatch offers the most efficient features for businesses. It is the website security check tool that combines a Web Application Firewall (WAF) provisioned over a Secure Content Delivery Network (CDN). It is a fully capable website security check tool from a round-the-clock staffed Cyber Security Operation Center (CSOC) of certified security analysts and is powered by a Security Information and Event Management (SIEM) that leverages data from over 85 million endpoints to detect and mitigate threats before they occur. You don't have to worry with the pesky dangers of malware everyday. All you got to do is install cWatch on your website. It'll do the rest of cleaning and protecting as a website security check tool. Spending on the best website security check tool might appear burdensome, but it actually prevent you from the possible risk of spending more on requesting for website consideration from Google and loss of customers. Why wait for the moment of danger to come? Through the intensive activity reports of the website security check tool, you plan effectively before a malware attack. The best cure is prevention. Use a website security check tool now. Protect your website everyday using a website security check tool. Register at the cWatch website to enjoy these services.